Karachi: Sindh Minister for Women Development Department Syeda Shehla Raza has reiterated that the department is taking practical measures to protect the Women’s rights their safety and security to further empower them at every level in the society with a better and peaceful atmosphere they should be given full support and legal assistance, property for safe guard their status and character comprehensively. This she observed while presiding over signing ceremony MOU’s with the 4 different NGO’s at her office here today. The NGO’s included Captain Tarana of Wonder Women Association, Malik Tahir of Legal Rights Forum, Sartaj Abbasi of Women Protection Cell and Sarim Burney of Sarim Burney Welfare Trust. Secretary Baqaullah Unar and NGO’s signed the MOU’s. On the occasion, after signing ceremony held, the Minister Women Development Syeda Shehla Raza addressing the NGO’s and Media Persons, has said that today with the support of such 04 NGO’s we are agreed to run the affairs with the mutual collaboration and coordination of department and NGO’s upliftment of women, awareness about Laws, Safety and Security, Look after, Curb the Harassment Cases, Domestic Violence, Young age marriages, honor killing cases against and faced by the poor women through out the Sindh province helped and assisted them at every level. She elaborated that complaint cell 1094 has already been activated and resolve the complaints, grievances and issues of women on priority. 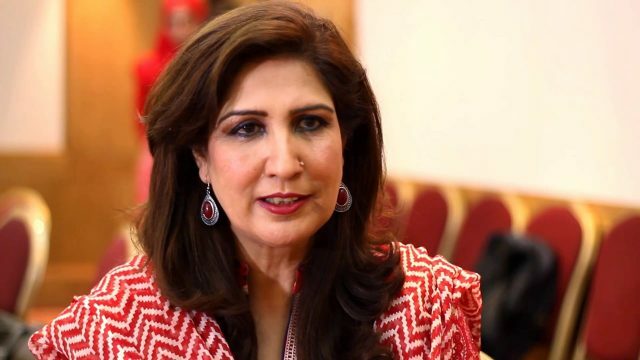 Syeda Shehla Raza further reiterated that a central and provincial women protection cell has been established at their office from today, where the all women lodge their complaints and any issue, it would be resolved by the officials on duty. Capacity building of officials, prompt liaison with all stakeholders, workshops seminars etc would be arranged at every level to further disseminate the knowledge and awarenes. The Secretary Baqaullah Unar also speaking on the occasion, has informed various programs and development projects for the welfare and well being of women segment. In this regard 02 separate program on 11th October in Lyari International Girls Child Rights Day and on 15th October in Badin International Rural Women Development Day are being held to commutate and display various outstanding performances by Rural Women and Lyari Girls would be highlighted and projected properly. Director Musarat Jabeen, Nuzhat Shireen Chairperson status of women commission in Sindh and representatives of NGO’s and officials were also present.